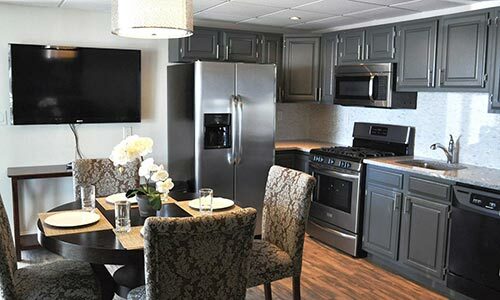 What is Lampliter Oceanside Resorts? Lampliter Oceanside Resorts is owned and operated by Tim and Melissa MacGregor. Melissa's parents, Robert and Monica Hart were the owners of Lampliter Motel for over 30 years. Four years after Melissa and Tim were married, they bought Oceanside Motel and merged the two motels into one, hence the name Lampliter Oceanside Resorts. If you are looking for a nice quiet spot for your vacation, Lampliter Oceanside Resorts is your choice. One of the many reasons is our oceanfront sun deck. It's the place to just sit back, close your eyes and listen to the sounds of the ocean and let any stress you might have float away on the ocean breeze. Looking for a little excitement thrown in with your vacation? Visit the Boardwalk in Wildwood and enjoy all the roller coasters and thrill rides. 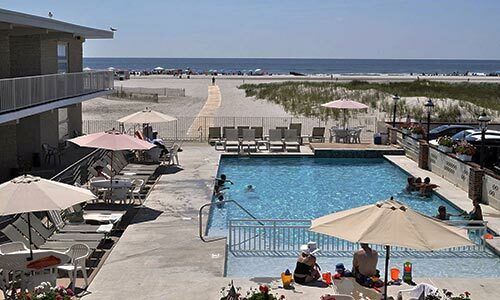 Then return from a hard day on the Boardwalk and soak in Lampliter Oceanside Resorts' waterfall hot tub or take a dip in the pool. Are you the type that defines their vacation by the food you eat? 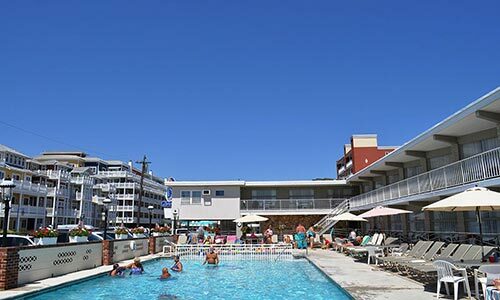 Well, Lampliter Oceanside Resorts' location is ideal for anything you could need with eateries within walking distance, a short drive down to Cape May or a short drive up to the rest of the Wildwoods. In the office we have a list of our own favorite places to eat. And of course, if you worship the sun and sand Lampliter Oceanside Resorts is good as it gets. The beach is our frontyard, and what a beautiful frontyard it is! Walk directly from the resort onto the sand. As you can see, if any or all of these are your idea of a wonderful vacation, Lampliter Oceanside Resorts is the choice for you. Designed and developed by Climber Digital. © 1997-2019, Lampliter Oceanside Resorts All rights reserved.